Marina Wright is a horse-human relationship coach. Through years of devotion to the wellbeing of horses Marina has created Pair Bond Training and teaches the 7 Mindful Movements to guide others to a harmonious and consensual relationship with their horses. 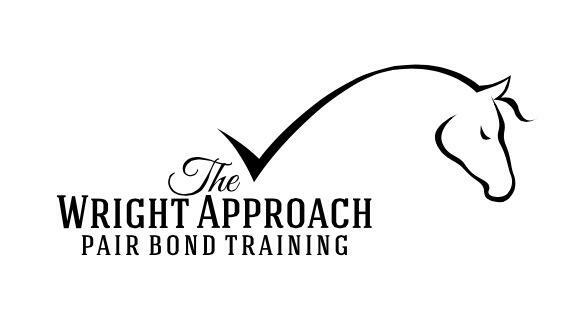 Pair Bond Training was born from the heart. It was created to forge a deep interspecies bond, empower our horses with emotional stability, and add enrichment to their lives. It is the foundation required to ensure our horses are willing and enthusiastic partners in our adventures together, whatever they may be. Pair Bond Training is about training the human proper equine etiquette to allow the unique connection that horses naturally seek to flourish. In order to achieve this, the horse must be free and in complete control of his own body. No ropes. No round pens. Once this bond and emotional stability is achieved, training (I prefer the perspective, teaching) is much more fluid and free of common frustrations – for horse and human alike.